The following guidelines will be used for approval of non-school literature and flyers distributed on Paris ISD campuses. 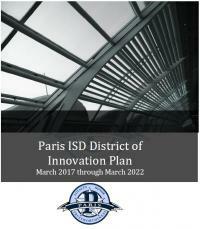 All flyers and/or literature must be submitted to the Paris ISD Superintendent's office for approval to be distributed. Please allow a reasonable period (at least five school days) for approval. All flyers MUST include the following disclaimer: "This organization and its activities are not related to or sponsored by Paris Independent School District." The flyer must clearly indicate the activity is for students. Persons and/or organizations who distribute the flyer must be recognized as non-profit organizations according to the Internal Revenue Service. The group must be prepared to present IRS documentation if requested by the district. Distribution of flyers must not cause disruption to the operation and discipline within the school. A copy of the flyer, along with the completion of this form, must be presented to the Paris ISD Superintendent's office for approval prior to distribution. Unauthorized solicitation of personal business for profit is strictly prohibited on any Paris ISD campus. Once approved, flyers must be distributed under the direction and supervision of campus principals. Organizations must confer with principals to determine the manner of distribution. Paris ISD will not be responsible for the copying, editing, or distribution of flyers. After receiving district approval, organizations must contact the school prior to delivering the flyers. If at any time it is determined that previous non-school literature presented for approval contains false information or did not accurately represent the intent of the program, the approval of future material submitted by the requesting organization may be jeopardized. Please fill out the form below completely if requesting to distribute non-school literature on any Paris ISD campus. What is the content/purpose of this flyer? What age group(s) does it serve? When is the event and target date for distribution of this information? 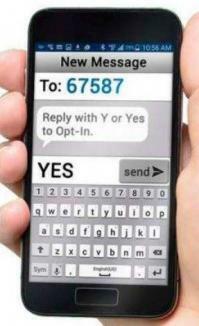 Please use this field if you want to add your flyer to your request. Please save file as a PDF before uploading.